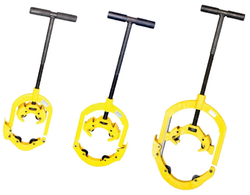 High Quality and easy to operate with a time-saving machine. 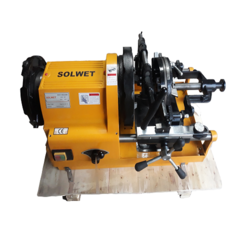 Pipe Threading Machine for GI, MS, and Stainless Steel Pipes. ON/OFF Switch: Heavy duty, foot switch and FOR/OFF/REV switch is as an optional. 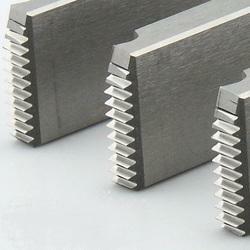 Machine Front Chuck: Hammer Type with replaceable rocker-action jaw inserts. Oiling System: Through die head, with the integral oil reservoir. 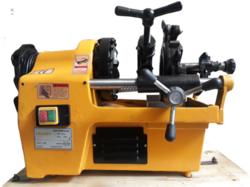 Bolt Threading Machine Size: M12 – M331. Size: Bolt – M12, M14 – M16, M18-M22, M24 – M27, M30 – M33. 1. Size: 1/2″-2″ (Universal) MS/GI, Conduit – C15,C19-31, C39-51, Bolt – M12-M33. 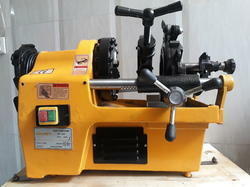 Portable Electric Pipe threading machine 1/2" to 1-1/4", Hingh quality with best price. We obligated to meet the quality standards as per the customer demand. 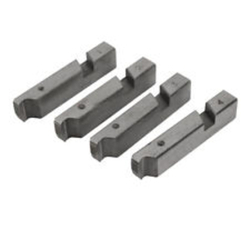 All matched Threader/Sets including Die Heads, Ratchet Assembly, Ratchet and Alloy Dies. Different Threader Sets maybe use different Dies and Head, consults us when you choosing. 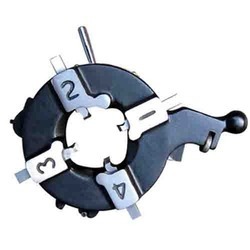 For use with threading machines, 2", 3" and 4"
1. adopt excellent steel material. 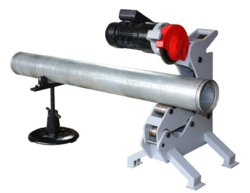 Pipe Diameter 1" to 6"
The Model SMPG6 hydraulic roll groover, equiped with updated hydraulic pump, with convenient depth adjusting function, powered by 1100W induction motor is capable of grooving 1”- 6” Sch 40 standard wall pipes. 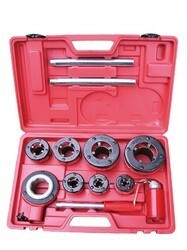 “All-in-one” design for the drive shaft, suitable for heavy duty jobs. 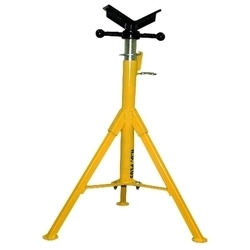 The SMPG6 comes with standard support legs, the unit can be set up quickly. The induction motor ensures steady and quiet working. 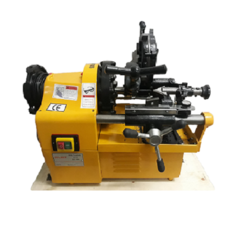 Size 4", 6" , 8"
Designed for rapid cutting of 2" through 4" steel pipe, heavy-wall steel pipe. HSS blade is also avaliable. Portable electric Pipe threading machine also known as Electric pipe threading machine, Pipe threading machine, GI MS pipe threading machine, conduit pipe threading machine, pipe and bolt threading machine, electrical wire pipe threading machine, light weight pipe threading machine, 100mm pipe threading machine, stainless steel pipe threading machine, SS MS GI pipe threading machine. 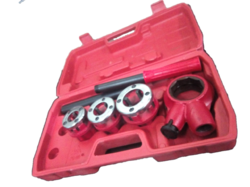 Threading Capacity 1/2" to 1"
Ratchet Die Set 1/2" to 1"
threader set included die set, die head, ratchet assembly, ratchet handle. 1. 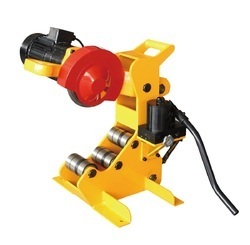 Designed to hold Pipe for threading machines, and Groover Machine. 4. 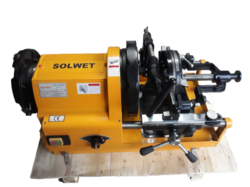 Capable for all kinds of steel pipes and applications especially for petroleum pipeline and Firefigting pipe. 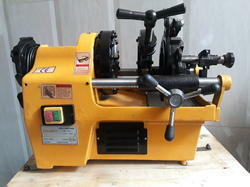 Looking for Pipe Threading Machine ?